Successful change initiatives often result from a deeper understanding of the problem than the questions that initially emerge when something that should work doesn’t. For example, Does McDonald’s need an activist investor? This question posed by Parke Shall today suggests McDonald’s may be in need of a more in-depth analysis. One that looks beyond the basic data level and requires capabilities and alternative perspectives than those currently at the helm . 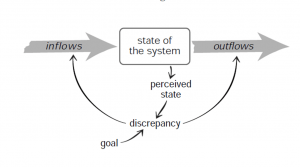 This deeper thinking would take stock, examine the array of assets tangible and intangible as well as the various factors or flows in order to depict the present working dynamics that produce the present situation. For example, the following conceptual view by Donnella Meadows and her corresponding outline of effective leverage points offers one such perspective. From Meadow’s perspective, data happens to be one of the least effective leverage points and big data is no exception. After all data alone merely describes what is, was, or what may result when applying particular assumptions. Parke Shall isn’t the only one wondering what McDonald’s can do to appease its investors after a year of declining sales. The complexity of managing and formulating strategy have proven difficult for the chain whose market capitalization and earnings exceed those of several small nations. It’s precisely why internal decision-making and long standing alliances may require more leverage points and even the most effective in changing outcomes a complete paradigm shift. Are the executives at McDonald’s completely out of touch with reality? It’s just one of a series of signs that suggest the leadership team and operating executives appear trapped. Their understanding and sense of how to make necessary changes that may put their business on a more positive, sustainable path seems to be stuck in time and experience that no longer resembles the present or the future. Millenial challenges reported by the Wall Street Journal in August 2014 tops the list of signs that McDonald’s seems to have lost its relevancy with a key demographic. Ad Age reported that among Millenials McDonald’s didn’t even make it into the top 10 list of restaurants, though overall they remain the #1 fast food chain. For McDonald’s there’s significant impact not only across their 35,000-plus global locations, but its flat or falling sales of the past year for restaurants open at least 13 months, this hurts the US hardest where 40% of its locations exist. Current CEO Don Thompson replaced the head of the US division effective October 15 with Mike Andres who in turn made additional changes in the structure and leadership across the US. The hiring announcement included appointing a new CMO and adding its first customer experience officer who quickly began to usher new changes for the brand. Beginning with Leo Burnett assuming their advertising responsibilities and refreshing a popular campaign. Will these changes and renewed focus prove significant enough? Today’s “lovin it” campaign launch hopes to earn back customers and promote more positivity. Another traditional leverage point , McDonald’s long term relationships with key suppliers enabled mutual growth with product consistency and exclusivity. Coca Cola, for example, has been a critical partner since 1955. New York Times reported Coke’s contributions to a variety of successful promotions and innovations McDonald’s introduced over the years, the smoothie being the latest example. To what extent will suppliers participate in the extensive reinvention process? Given that Coca Cola has seemed to hit a sugar speed bump itself , this approach may be less advantageous. This bring us to innovation at the menu level brings. Widely acknowledged to prove challenging, the menu creep throws off the rhythm of prep and compromises serve time, a key management metric and contributor to McDonald’s overall value proposition. Expanding offerings such as McCafe and McWraps, along with efforts to rebrand and position itself as more upscale may appease some consumers, but not clear these additions delivered sufficiently to slow if not deflect the falling sales. 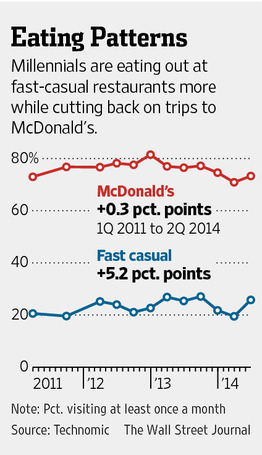 Is McDonald’s too entrenched in the trappings of it’s 59-year old brand strategy? The amount of data and analysts working on this task doesn’t identify a source or clear evidence of higher level strategic thinking. A 2012 Booz & Company case study of Wendy’s strategy noted McDonald’s had sewn up three key competitive advantages. Brand name recognition for the golden Arches holds an enviable 88% visibility internationally, which helps it win over price-sensitive consumers who also focus primarily on convenience. Its US location density places a McDonalds franchise at the very least within 100 miles of every consumer. This limits acheiving new growth by adding new outlets. It may be why McDonald’s has increased its innovation capabilities beyond what the Huffington Post reported in 2011 were evident in its Romeoville innovation center where it develops, borrows and systematizes operations innovation. This effort enviable to most corporations prototyped the extensive experience facelifts ranging from re-architecture and mobile ordering. Still not clear there’s enough in the pipeline to turn the tide against longer term trends of lost relevance and eroding sales signals. Among 32,000 consumer reports subscribers, McDonald’s hamburgers came in last when judged for its taste against 20 rivals. This suggests that it’s not just the millenials who no longer find the fast food’s burger offerings appealing, thoguh burgers and shakes continue to draw crowds to other fast casual restaurants at higher price points too. 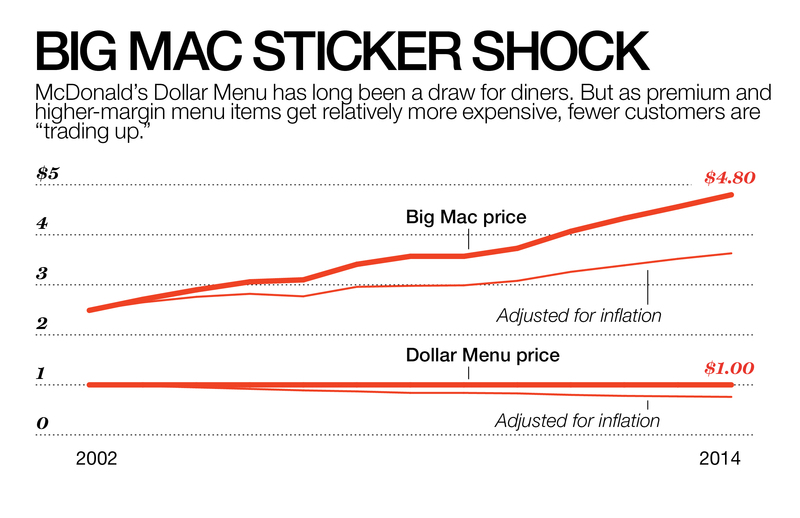 The problem of sticker shock doesn’t impact Chipotle or other restaurants among the ever increasing fast casual segment, but it sure has hurt McDonald’s. As Fortune reported, the growing gap between the dollar menu and higher price points continues to widen making the higher priced items less attractive. Changes to help the struggling chain regain its growth may require either McDonald’s board and.or its CEO to resolve deeper structural challenges characteristic of complexity. It will require some serious assumption busting, re-framing of the definitions of success and aligning more attributes with those characteristic of open systems environment. No pun intended. I do believe ramping up prototyping activities in Romeoville and live testing of customization such as those in sourthern California will also help. The evident discrepancy between McDonald’s goals and its shrinking share of the markets in which it operates doesn’t only create unease among its various stakeholders (e.g. customers, employees, its board and shareholders. This contrary indicators also reflect the inter-related operating decisions that constrain and limit opportunity while at the same time provide effective command and control that enhance efficiency but at increasing opportunity cost vis a vis growth. Some of these indicators affect competitors as well as suppliers, impacting factors that compete and complement American eating attitudes and behaviors. 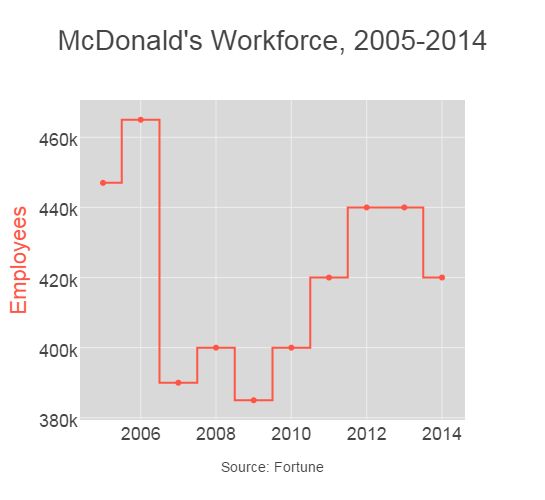 This data merely exemplifies the changes in attitude over time and supports or disputes assumptionsin evidence by decision-makers running McDonalds. It also shows how little the major facelift and experience initiatives matched, let alone change pre-existing attitudes about McDonald’s on items corresponding to what Booz *company reported as core strengths for the brand. These attitudes are not independent of each other and reinvention will require exercising leverage that cuts much more deeply than switching out leadership and introducing additional menu changes. In other words, the complex tasks associated with increasing growth will require fundamentally different approaches than those available to smaller competitors or innovators carving out new space and creating new categories. Will their investors be patient and have enough confidence to believe in their existing leadership, only time will tell.